Edited to add: Unless the blogger says otherwise, challenges are probably open til Monday night - but see their blog for details. 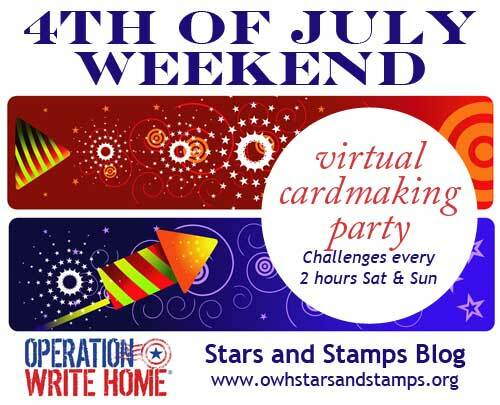 In any case you can join the challenges and link up anytime over the next month! :) The OWH prizes will be picked from all entries by Monday at 11:59pm pacific time. Later on today we'll also announce the winners of the Second Million Challenge...don't forget to check out the July Challenge - Beat the Heat! And now....today's party.....!!!! Love this. I am definitely going to play along! How long do we have to complete the challenges? I want to play, but won't have free time until tonight after fireworks or perhaps tomorrow.